Many have come to call the 21st century “The Age of the Entrepreneur”. Granted, there have been plenty of spurts of global and local entrepreneurship throughout the course of human history. However, never before do aspiring entrepreneurs have so many resources at their fingertips. In the digital age, everything from networking to securing funds to marketing a product can be done from the comfort of your home office. In fact, some of the fastest growing sectors for entrepreneurship are things like apps that only exist digitally. So are we saying that entrepreneurship today is easy? Definitely not! Just because the resources exist, doesn’t mean that today’s entrepreneurs don’t need just as much creativity, grit, and passion as those of years gone by. And for one group, in particular, this reality is hitting hard. Women. Despite all of the opportunities and resources that abound for aspiring entrepreneurs, men still drastically outpace women in the area of business ownership. In the U.S. only 26% of businesses are owned by women. And this is a far higher rate than in many developing nations. And yet, as with everything, there are exceptions to this rule. There are a handful of countries, seven in fact, where women take part in entrepreneurship at about the same rate as men. As you might be guessing right now, one of those countries is Panama. As a result, Panama is earning a reputation as a hotspot for female entrepreneurs, and for good reason. (In case you’re curious, the other six countries are Thailand, Ghana, Ecuador, Nigeria, Mexico, and Uganda). Just why does female entrepreneurship matter and how is Panama able to buck the global trend of gender disparity? Read on to find out! Before we jump into just what makes Panama a great environment for female business owners, it’s worth noting why female entrepreneurship matters. Traditionally, both in the corporate business world and amongst newer and smaller businesses, it’s a man’s game. Not only do men traditionally own far more businesses, but they earn more as well. For every dollar a male business owner earns, his female counterpart earns about 25 cents. Given this information, one can see how discouraging it might be for women to start a business. And yet, it is in the best interest of countries and communities to level the playing field and encourage women to pursue careers in business as well. For one, more women starting businesses or working for businesses they care about is good for the economy. By narrowing the gender employment gap, countries could increase global income per person by up to 20% in the next decade. Beyond sheer economics, there are other reasons we should want women at the helm of local and global businesses. Compared with their male counterparts, women are 5% more likely to produce innovative businesses. If we want our country’s newest ventures to tackle problems in innovative ways, it’s important to have more voices at the table. By bringing more women into the business community, we’re likely to see a greater diversity of ideas and solutions. Additionally, women are often better suited for balancing work and family. After all, many women are expert multitaskers. And in many developing countries women business owners are more likely to reinvest their earnings in families and communities. Thus, when women earn more, our collective futures are more likely to flourish. Finally, successful women entrepreneurs serve as an inspiration for other women to join the business world. When countries support women in pursuing their dreams, there’s likely to be a domino effect that will spread. It goes without saying then, that encouraging women entrepreneurs is good for equality, the economy, and communities. Given all this, it’s no wonder that Panama is doing what it can to make sure women are just as likely as men to make their business dreams a reality. One of the key factors that enables women to take a stab at developing a business in Panama is the ease of getting started. 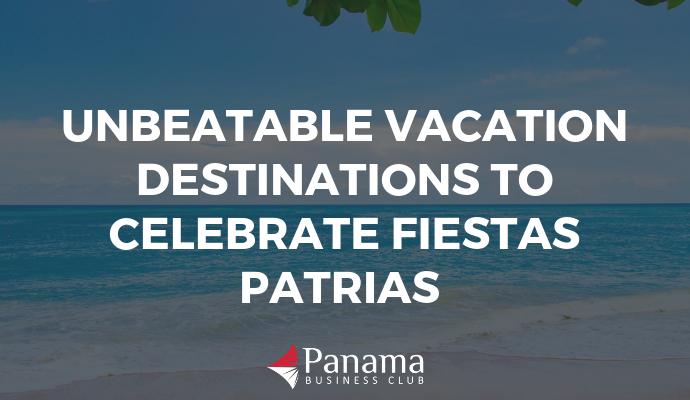 Compared to other countries, it’s relatively easy to start a business in Panama. Sure, there are forms to fill out and steps to follow. But the number and complexity of these are far less than in many other countries. The fact that it’s relatively easy to start a business in Panama benefits everyone, but especially women. Traditionally, women are the ones who most suffer at the hands of complicated bureaucratic processes. With fewer connections in the business community, and fewer women mentees to guide them, the startup process can be discouraging. Since Panama’s policies encourage new ventures, women are more likely to seize the opportunity. And once they set their minds’ to it, women are more successful at getting their idea up and running. Not only is this good for women, but it’s good for Panama. As mentioned before, women are more likely to propose and innovative or never before seen business idea than men. By keeping the process for starting these new businesses simple, the Panamanian government is able to foster these innovative ideas. A second reason that makes Panama the perfect place for women to launch their dream business is because of the general openness of the Panamanian government and community. Panama’s government wants to attract as much success and talent as possible to the business community. This is one of the reasons that there are such lenient laws around immigration and taxation. Lax laws encourage diversity and innovation within the business community. And this can be a huge boost for women. One of the biggest factors that hold women back from pursuing their entrepreneurial dreams is something very simple. Confidence. While we often hear about the gender wage gap or the opportunity gap, increasingly sociologists and labor experts are talking about the confidence gap. Women tend to feel less self-assured than their male counterparts. As a result, women are less likely to advocate for promotions or take risks in the workplace. One of the biggest business risks that often gets quashed by the confidence gap? Starting one’s own business. Panama’s open-mindedness to diversity helps curb the confidence gap. Part of Panama’s strategy for economic success is to bring more voices to the table. Women, foreigners, and business newbies are all encouraged through relaxed policies to get involved. As a result of such openness, women and other typically marginalized groups are more willing to take a risk when it comes to starting a business. And the outcome is good for everyone. Another factor that makes Panama’s entrepreneurship environment friendly to women is its networkability. So much of breaking into the business world has to do with who you know and making connections. And in many places, this process can be intimidating. Luckily, Panama has plenty of opportunities for entrepreneurs of all backgrounds to meet, mingle, and network. Whether male or female, novice or seasoned expert, local or expat, there are plenty of places to make connections. 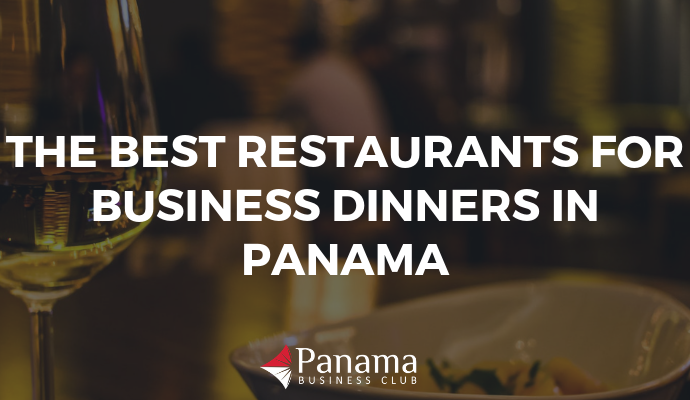 In fact, this is one of the main aims of the Panama Business Club. 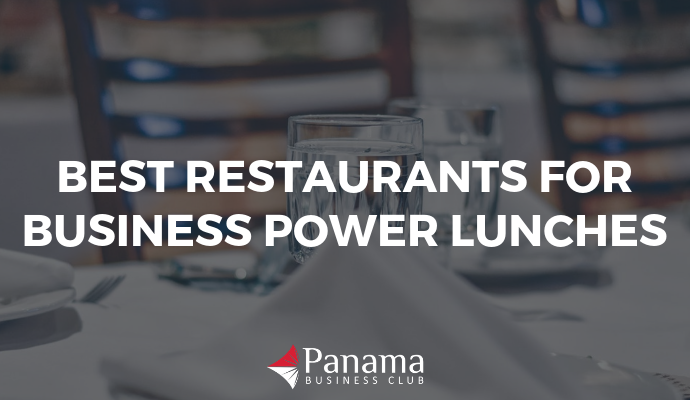 We aim to always provide a positive environment for like-minded people, making Panama Business Club the perfect low-stakes setting to connect with the Panama business community. Interact, improve connections, and identity new opportunities. You never know, you might meet just the person you need to help develop your business ideas. The final reason that Panama has become a hotspot for female entrepreneurs is a mere fact of nature. As more women break into the business world, show what they’re capable of, and make a name for themselves, there is a ripple effect. Even Panama’s most conservative business leaders see the benefit of women making up an equal share of the business community because the women on the scene now are doing such great work. Being surrounded by a country full of strong and successful entrepreneurial women is powerful. It provides both confidence and opportunities for others to follow in their footsteps. And in the end, the quality and diversity of ideas and solutions that women develop will make Panama a richer community, in more ways than one. If you or talented women you know are looking to dive into the business world, Panama might be the perfect place to do so.